A never event is an event that occurs in the hospital like a fall, an infection or a wrong sided surgery. Medicare has gone on record and told hospitals that these events (28) are types of events that should not occur and as such, Medicare will not pay for these events. 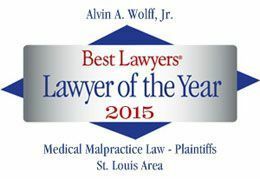 I've been in practice now for over 34 years and I've seen thousands of alleged malpractice cases. These events are usually caused by systems failures of the institution rather and the negligence of a single individual. System failures occur due to poor training, poor supervision, sloppy practices and generally not keeping one's eye on the ball. If you think you've been hurt by a never event, give us a call at 584-4109. Looking at these cases and helping our clients is what we do best.